I reach for her when a sweet and spicy combination requires a little something something, you know what I mean? Sometimes you need that additional flavor undernote when what you’re working with seems a little one-dimensional. Something to round it off nicely, sort of like orange zest would. Sort of… but not quite. I refer to Angostura Bitters as a ‘her’. Does this worry you? Enter exotic-sounding Angostura, she even looks a little exotic too wouldn’t you say? With her rich dark liquid and that bottle with the over-sized label and yellow cap. You do see it, right? She’s that little bit of depth, something a little heady that makes the sweet come alive. She pulls flavors together in her own unique way. I find her smell warm and nostalgic. It reminds me of hanging out in the kitchen with my mum. There was always a bottle at home, in our Nigerian/Trinidadian kitchen. My mum hails from Trinidad you see and along with browning ‘seasoned chicken’ in caramelized sugar, AB was one of those things that I wholeheartedly assumed made you Trinidadian. You couldn’t tell me otherwise. Imagine my confusion when I found out it was more known worldwide for its use in cocktails, not to mention that it is a vital component of the most popular cocktail in Nigeria – Chapman. I only now know, from my bit of research, that AB even though distilled in Trinidad, has its origins in Venezuela. The smell of Angostura Bitters and raisins soaked in rum reminds me of Trinidadian fruit cake and Christmas. My grandmother used to make the cakes months in advance and leave them to sit in old Danish butter cookies tins on the kitchen counter, opened from time to time to get doused in rum to keep it moist for Christmas. My young self never liked that Christmas cake, but ooh the scent. Now I find ways to use her. In part to feel closer to my mum but also because it smells like it makes things better. I’ve never attempted a fruit cake because I’m still not always sold on raisins but I find other ways. A dash in my fruit compote for a fruit crumble or in caramelised apples for my cinnamon rolls. I even use it savoury-style, adding some to another Trini Classic, brown stew chicken – seasoned chicken browned in caramelized sugar and then left to stew in tomatoes, onion and a dash of AB. 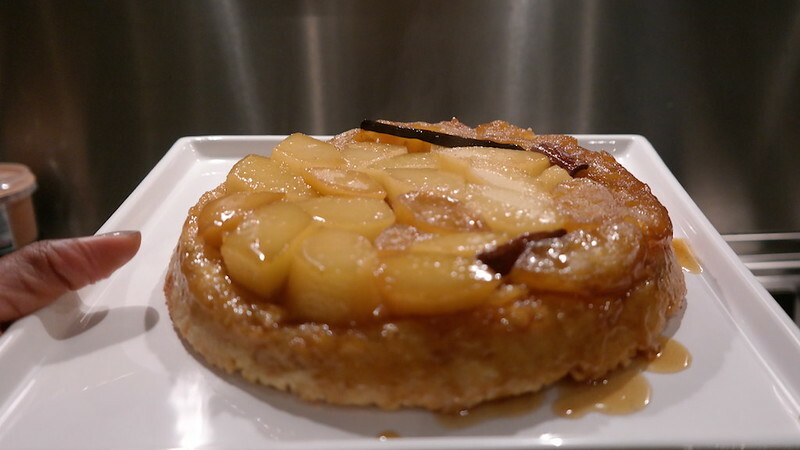 My latest venture is this pear and apple open tart inspired by the French tarte tartin. A bit of rum and some angostura bitters makes it a little less French, a bit more palm trees on the beach. 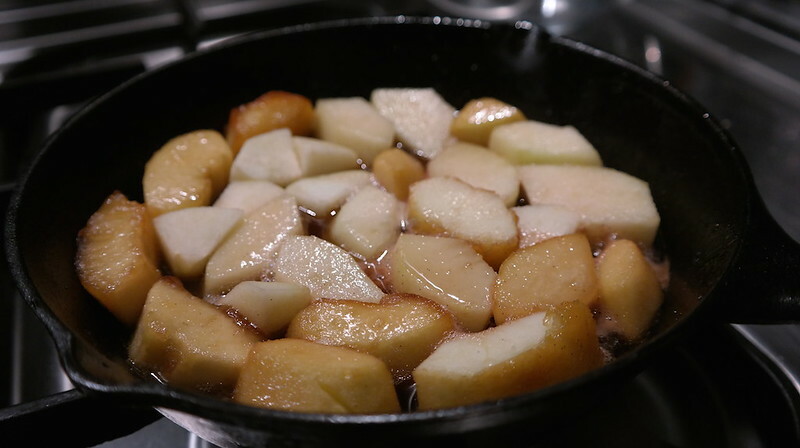 I added a generous tablespoon of AB to the caramelized apples and pears, while they sizzled in the pan. 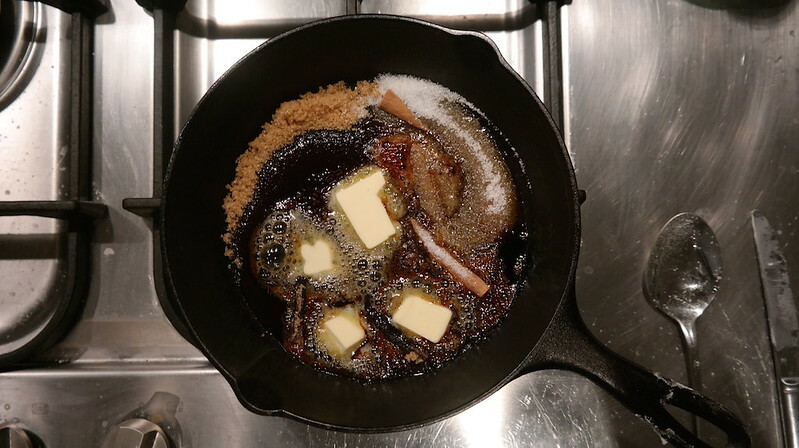 The pan already had some butter, brown and white sugar, vanilla seeds, cinnamon and nutmeg. 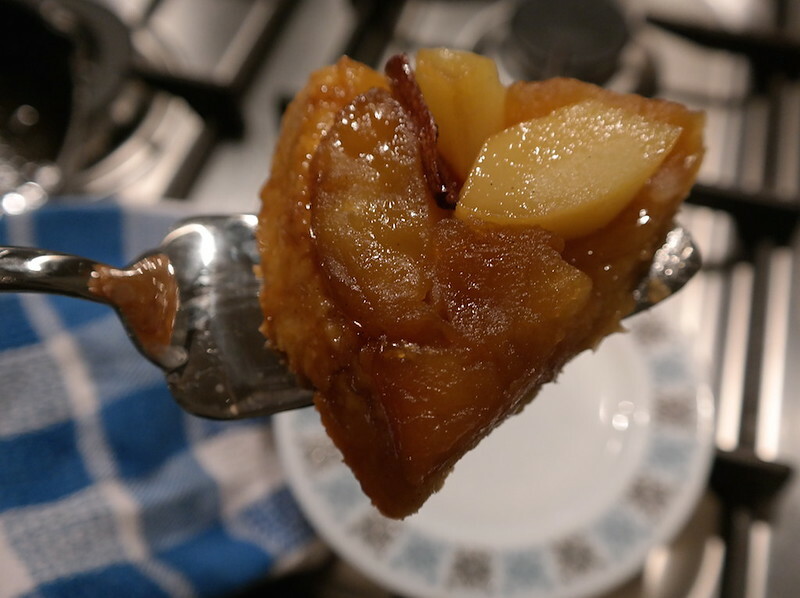 The apples and pears sit and soak in the syrupy caramel. 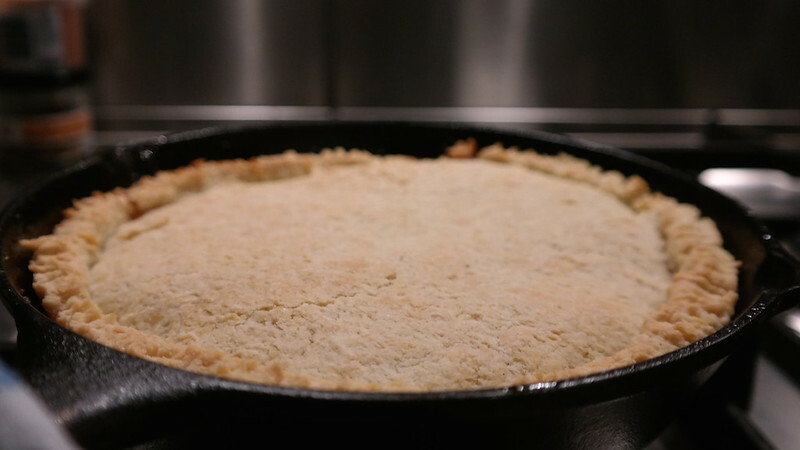 It’s topped with buttery short crust pastry and baked. So get this, there’s crunchy bits, caramel bits, a bit of goo and then the soaked fruits. Ah, its good stuff I tell you. 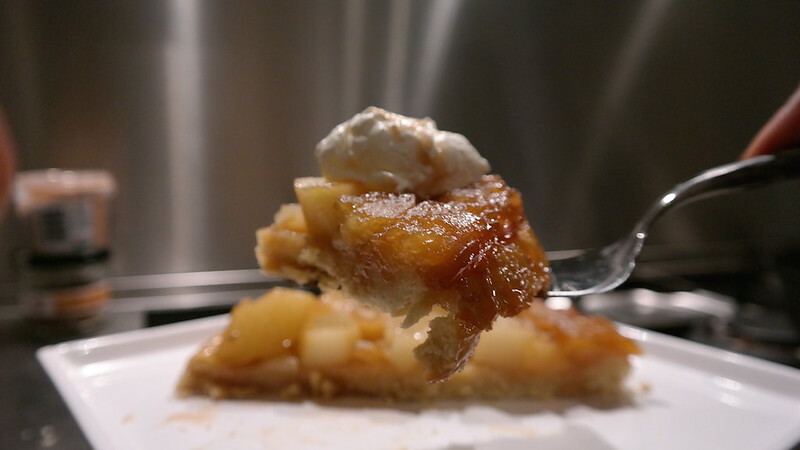 The first time I made this I let the caramel brown a little too much (read that as burnt). It made for a sweet tart with a slightly bitter aftertaste and even though it got eaten, it wasn’t the effect I desired. I fail at the discipline it takes to document a recipe, mostly to my detriment. It means I don’t have a step by step recipe to add to this post. 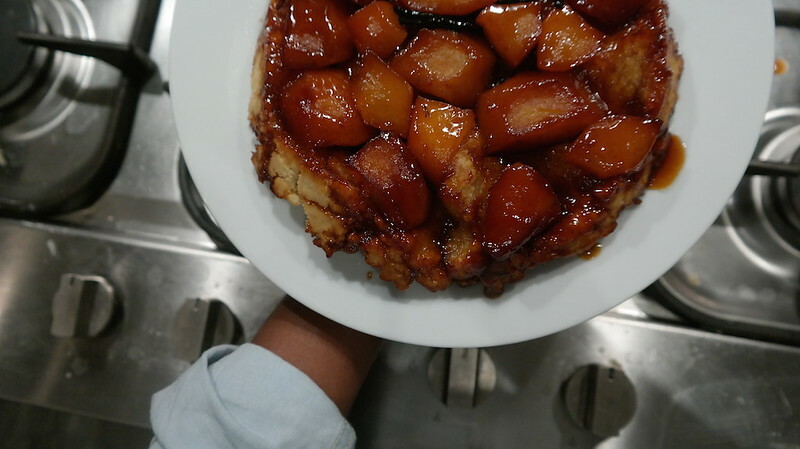 There however exists many a tarte tartin recipe online – I’ve even spotted a few on this here fine blog. The thing about Angostura bitters is that in its role as a flavor enhancer, it is easy to add to a recipe and adjust to taste. Which brings me to the point I’ve hopefully succeeded in making: that bottle of Angostura bitters you have lying around could do great things for your next baking experiment. Here’s to using Angostura Bitters in much more than Chapman! How do you use your Angostura Bitters, friends?